A week and half ago, California court ruled use of glyphosate-based herbicide Roundup caused non-Hodgkin’s lymphoma in the plaintiff Hardeman. Environmentalists in India have been alleging for longtime that illegally grown herbicide-tolerant Ht cotton is encouraging the use of glyphosate. Perdue claimed USDA has shared scientific studies with Vietnam from the Environmental Protection Agency “and other internationally recognized regulatory bodies concluding that glyphosate is unlikely to pose a carcinogenic hazard to humans. However, Vietnam’s Ministry of Agriculture and Rural Development (MARD) said it made the decision “to protect human health, animals, the ecosystem and the environment”. It said, “As soon as there was information that the second trial in the U.S. ruled that glyphosate was related to cancer, we put a ban on the import of new herbicides containing the active ingredient”. “And the removal of this substance from the list of pesticides allowed to be used in Vietnam will be done in the near future,” it added. A week and a half ago, Vietnam had banned the import of new herbicides containing glyphosate after the second trial in US in California court gave a verdict that glyphosate causes cancer. The jury ruled use of glyphosate-based herbicide Roundup caused non-Hodgkin’s lymphoma in Hardeman. The jury had awarded $80 million to the plaintiff in the case of Hardeman v. Monsanto. Monsanto is now acquired by Bayer. Thus far, around 11,200 lawsuits have been filed against Bayer regarding glyphosate-based Roundup alleging exposure to it causes cancer. Glyphosate is the chemical contained in Bayer AG’s best-selling weed killer Roundup. Reacting to Vietnam’s move, Bayer said Vietnam’s ban will not improve food security or safety in the country and that the company was not aware of any new scientific assessment undertaken by Vietnam’s government on which the decision is based. The overwhelming weight of over four decades of extensive science and the conclusions of regulators worldwide … support the safety of glyphosate-based herbicide products, it said in a statement. Currently, the use of glyphosate in agriculture is rampant in seven countries – Australia, China, India, Philippines, Indonesia, Vietnam and Thailand. In India the consumption of glyphosate was 148 million tonnes in 2014-15, the highest for any herbicide. Environmentalists have been alleging that illegal herbicide-tolerant Ht cotton is being grown in lakhs of hectares in India and this is encouraging the use of glyphosate. Herbicide-tolerance means that when an area is sprayed with a particular weed killer, everything apart from the herbicide-tolerant crop dies. 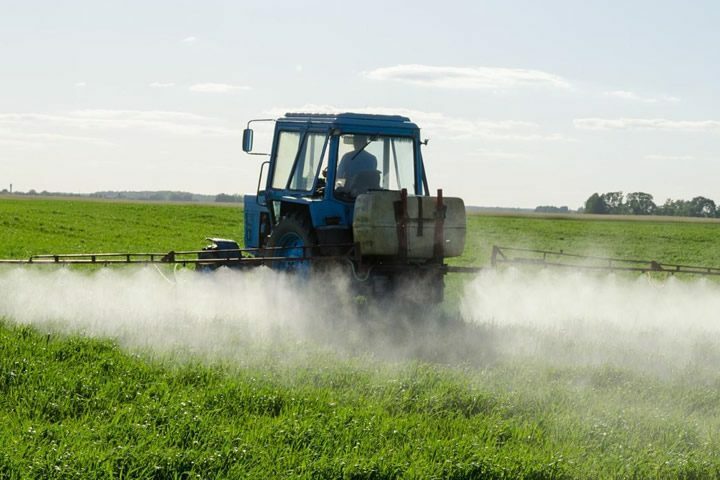 The adverse effect of a weed killer is that it contaminates fields where the crop is not resistant and it can destroy crops in neighbouring farms. Similarly, the GM Mustard is not tolerant to the herbicide Roundup, it is Basta tolerant, another herbicide manufactured by Bayer Crop Science.